The school district named the discovery “cave No. 19” – this isn't the first cave that's been discovered in the area – and said that this one is the largest to date. Workers performing water line utility work discovered a cave beneath a high school in Texas' Round Rock Independent School District last month. The school district named the discovery “cave No. 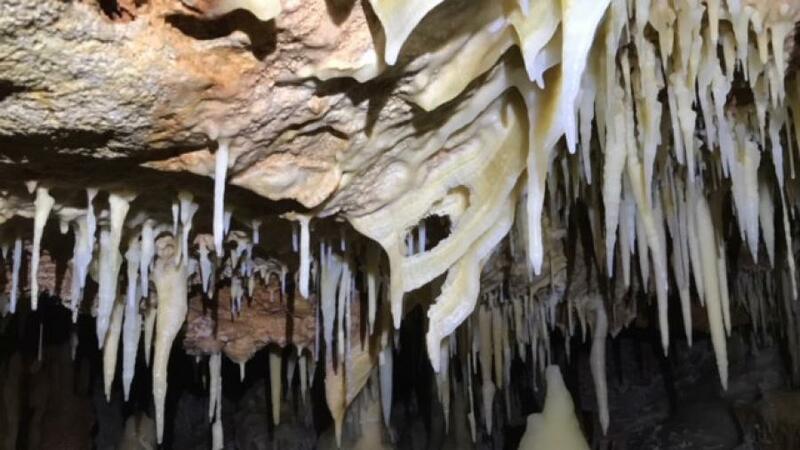 19” – this isn't the first cave that's been discovered in the area – and said that this one is the largest to date, KXAN reported. “There is an extensive cave system underneath the school, which was built in the 1980s, but 19 have been found during construction,” said Round Rock ISD's Jenny Caputo. Crews renovating McNeil High School had to deal with construction delays after caves, some containing endangered spiders, were found west of the campus. To keep working, the school district had to forge an agreement with the U.S. Fish and Wildlife Service, KXAN reported. According to Terry Worcester, the school district's CEO, Round Rock ISD has been working with engineers and environmentalists to check the caves for safety and map out what may need to be done to make them safer. “There's a protocol for all of those findings and we follow those very, very closely,” said Worcester. Worcester said that the school district has no idea how much the caves will add to the projects' price tag, but construction will continue, with Phase I expected to be complete in November 2018, KXAN reported.